An East Palo Alto intersection with a deadly history was the scene of yet another serious injury accident involving pedestrians Wednesday night. 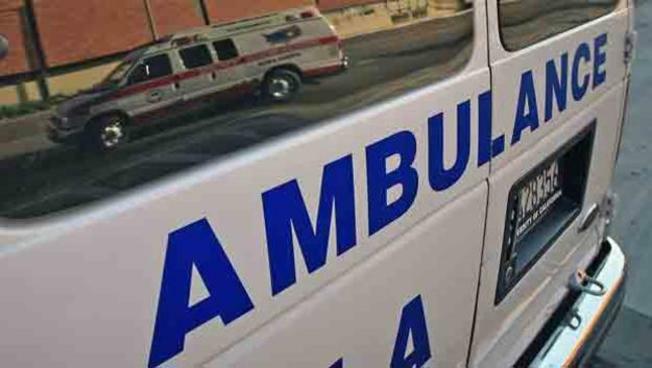 Two women were walking in a crosswalk on Bay Road at Addison Avenue at about 8:15 p.m. when a car traveling southbound on Bay struck them, police said. Both victims were conscious and alert when emergency crews took them to Stanford Medical Center. The driver remained at the scene, and police arrested him on suspicion of driving under the influence. Wayne Barnes, 55, was in custody on a felony DUI charge with a special circumstance of causing injury, police said. Barnes told officers he tried to avoid the women, ages 21 and 27, but ended up hitting them anyway. The latest incident has neighbors angry and again calling for changes. In 2011, a 7-year-old girl was hit and killed as she walked in a crosswalk heading to school. The intersection is near Cesar Chavez Elementary. The city added crosswalk lights, but neighbors said it's not enough. "We need lights at every single crosswalk," said Luke Kieninger. "Something needs to happen. This is insane; this is going to keep happening."